Look for Peanuts characters both in the air and on the ground in this year's 89th Annual Macy's Thanksgiving Day Parade. A returning favorite, the Snoopy and Woodstock balloon will make its third consecutive appearance sailing above the crowds - and the 39th time overall a Snoopy balloon has appeared in the parade, starting with the first appearance in 1968. 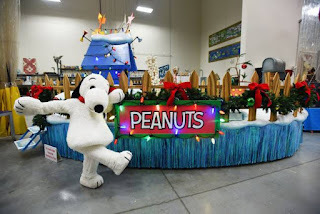 Meanwhile, down below on the road, a new "Snoopy's Doghouse" float will celebrate the 50th anniversary of A Charlie Brown Christmas. 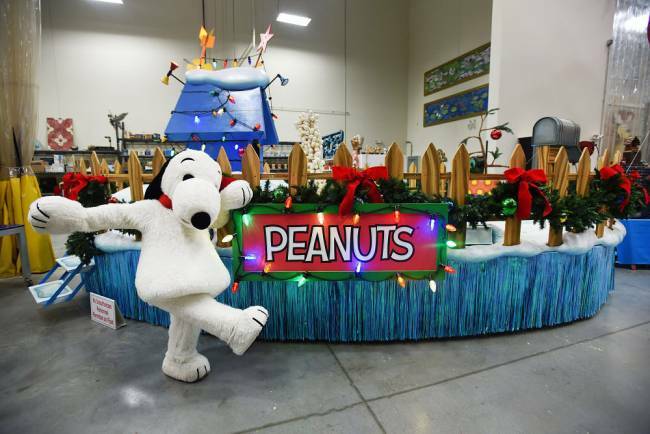 The float will feature elements from the classic television special, including Charlie Brown’s Christmas tree and Snoopy’s prize-winning decorated doghouse, along with several of the Peanuts characters themselves. The parade balloon and float aren't the end of Macy's celebration of Peanuts in 2015; this year, the store's traditional holiday window displays will feature a Charlie Brown Christmas theme. According to the company's press release, "the Broadway windows at Macy’s flagship store at Herald Square in New York City will debut incredible animated scenes from the iconic television special [...] additionally, A Charlie Brown Christmas is the theme that will decorate the holiday windows at Macy’s downtown stores in Boston, Chicago, Philadelphia, Salt Lake City, San Francisco and Washington, D.C." So you might want check it out if you live near one of those locations! You can see a preview of the NYC windows and a peek at how they were made in this video from USA Today. Amazing! Can't wait to see the debut of the Peanuts float and the Snoopy and Woodstock balloons this coming Thanksgiving Day parade! Good luck with them!